In the last few months, we have gone to multiple departments here at webSelf in order to introduce you to different members of our team. By answering our questions, they give you the opportunity to learn more about them and their role within the company. 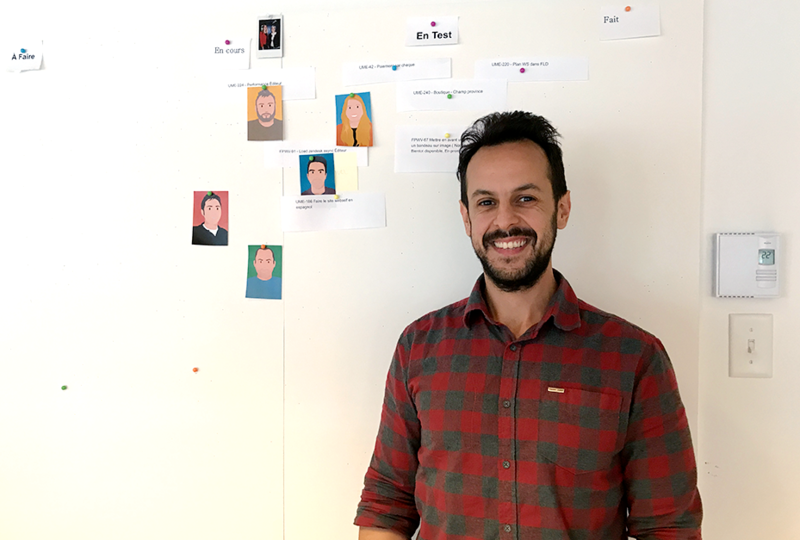 Today, we introduce Victor, projects manager! How long have you been working at WebSelf? Since April 2017, so it’s been about 8 months. I am a project manager so I have a lot of different tasks. The most important thing is to organize the projects and make life easier for our programmers. I also supervise ongoing projects and ensure we respect the development process. What do you like the most about working at WebSelf? I am a sports fan in general. I play soccer, squash, I run and bike. In short, I like to move around and be active. Coffee. Tea is only for when I'm sick. What is your favorite WebSelf template? I am a Brazilian, so obviously, I must say Ronaldo Nazario, soccer player from Brazil. What is some advice you would like to give to WebSelf users? Continue to create beautiful sites with our platform and enjoy the new arrivals! Especially for the online store, we have a lot of novelties planned!